Oct 27, 2015 - Richard Lakin, 76, of Jerusalem, who was shot in the head and stabbed in the chest during the terrorist attack on the Egged bus in East Talpiot on October 13, succumbed to his wounds. Richard Lakin, a passenger on the bus, was shot and stabbed while and hospitalized in the Intensive Care Unit at Hadassah Ein Kerem hospital, where he underwent multiple surgeries. He passed away on October 27. Lakin moved to Glastonbury, Connecticut from his native Massachusetts in 1965 and began his teaching career as a fourth- and fifth-grade teacher. He became principal of Hopewell Elementary School in 1968. Anne Alvord, who worked with Lakin as a teacher and language arts consultant at Hopewell School, recalled him as "naturally respectful and gentle and effective. He was a very peaceful man in the way he worked with his teachers and students. That was his magic, really." Lakin and his wife Karen were active in the American civil rights movement during the 1960s, and both frequently participated in Freedom Rides to the US south to protest against racial segregation on buses. During his tenure as principal, he took his family on a seven-week vacation to the Golan Heights and then took a year-long leave of absence to stay at a kibbutz in Israel. 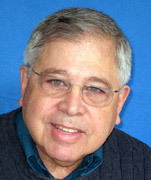 "Living in a Jewish state for a Jewish person is a whole different feeling than living in a Christian country," Lakin said in a 1980 article about his year in Israel. "Saturday there is the Sabbath and buses are not operating and stores are closed, where Saturday here is soccer. It's incredible in Israel when you see things mentioned in the Bible." In 1984 he decided to move to Israel with his wife and their two teenage children. The family settled in Jerusalem, where he and his wife opened a business teaching English to people of all ages and backgrounds, including many Palestinian children from the area. He was still teaching students up until the day of the attack. He authored two books, one of them entitled Teaching as an Act of Love. "Dad was a kind, gentle loving person whose legacy is ‘acts of kindness'," his children wrote. Lakin was active in a number of groups that sought peace between Israelis and Palestinians. The cover photo on his Facebook page at the time of his death read "Coexist". On October 11, he wrote: "I have a strong sense that these 'random' terror attacks are being orchestrated by the Northern Branch of the Islamic (Brotherhood) Movement in Israel. Their goal is the destruction of the State of Israel and of coexistence between the Arab and Jewish communities." Richard Lakin is survived by his wife Karen, their two children and eight grandchildren.